THE RISE OF THE CAROLINAS! – Block Us Up! 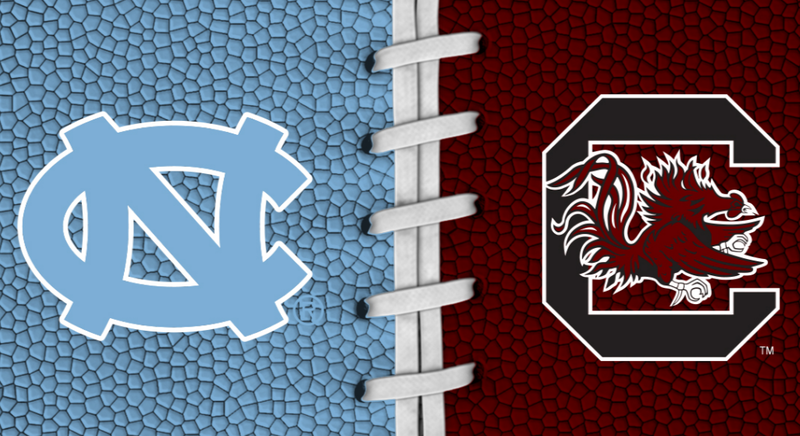 Full disclosure….. I’m a Tarheel fan ‘till the day I die! Way back to the late 80’s – early 90’s teams of what I call “The Jordan Era”. However, I was born and raised in South Carolina, So of course I was cheering for the Gamecocks as this year’s Women’s team ascended to their first National Championship! This year, with all the nail biting excitement of the NCAA Tournament, the USC and UNC pep bands have rocked the coliseum stands and broke the internet at the same time! Block Us Up! : Mr Cannon, thank you for giving us a small amount of your time today. We are doing an article about the bands of the NCAA tournament, specifically UNC and USC. Could you share with us how it felt for your band members to participate in the NCAA tournaments? Block Us Up! : What was the journey to the finals like for you and your students? Block Us Up! : how do your students balance their academic requirements with their obligations to support their team? Block Us Up! : I know this has been an exciting, but busy time of year for you and your students thank you for taking the time to contribute to our story. Block Us Up! : Mr Fuchs, thank you for giving us a small amount of your time today. Could you first share with us how band members are selected for tournament participation? Jeff Fuchs: “We play home basketball games with about 230 students and rehearse weekly to make sure that every member of the band is prepared to be one of 29 when it comes time to travel. There is a huge difference in being one of 35 trumpets and one of 7. Tournament time can be grueling but it is also the most exciting time of year for the kids who travel. We were on the road 20 of the last 28 days and got to spend time in New York City, Greenville (SC), Memphis (TN) and Phoenix (AZ). Block Us Up! : How does going all the way to the finals for back to back seasons affect your program? Jeff Fuchs: “Successful athletic teams are great for a band program. The number of new students increased by nearly 25 kids last year and we expect to see another increase this year. Retention numbers are also better when there is sustained success in one or more sports. Block Us Up! : What is it like to experience the NCAA tournament on a regular basis? Block Us Up! : There are many who may not realize the demand of that 3 week tournament schedule, thank you for helping us to fully understand it all and for educating our audience on exactly what goes on behind the scenes to properly prepare a band for the finals. Jeff Fuchs: Thanks for doing the article. Hats off to all the pep bands out there sacrificing in huge ways just to continue to bring entertainment and excitement to the sports arena!